The owner and broker of Dwell Summit Real Estate in Breckenridge, Tanya Delahoz, has started the Dwell Well Project, which is offering to pay someone’s rent in Summit County for three months to advocate for long-term leasing. A Summit County real estate company’s efforts to promote long-term leasing have that company offering to pay a local’s rent for three months. Created by Dwell Summit Real Estate, the Dwell Well Project will cover March, April and May’s rent up to $5,000 total for an individual or family who’s currently renting in Summit County. The criteria aren’t restrictive at all. The individual must have entered into a 12-month lease and be committed to living in Summit County. It doesn’t matter how long that person has been here, only that he or she gives back and is deserving of a little boost. “I want someone who’s invested in our county, who’s invested in our towns and who’s invested in making a life for themselves here,” said Tanya Delahoz, owner and broker of Breckenridge-bassed Dwell Summit Real Estate. Nominations will be accepted through Jan. 31 and should include details about the individual’s situation. A three-person panel will review the nominees and announce the recipient in February. Delahoz said she started the Dwell Well Project as a way to pad someone’s financial reserves and as a response to the growing anger and frustration she’s seen over long-term leasing in Summit County. At the same time, a large number of properties are being converted into short-term rentals, Delahoz said, and she wants to highlight the upside of long-term leasing by promoting an honest conversation that recognizes the forces affecting both landlords and their tenants without all of the negativity. Delahoz knows that renting a home in Summit County can be brutal on potential tenants — especially families — considering that a three-bedroom home in Breckenridge rarely goes for less than $3,000 a month and studio apartments often command monthly payments of $1,600 or more. 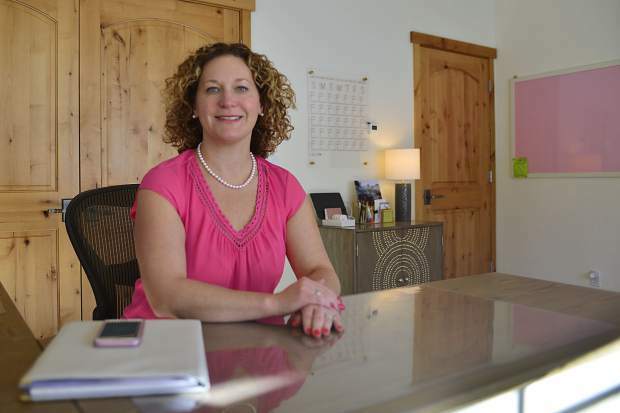 Delahoz said she also knows that giving someone three months free rent won’t change the landscape, but she hopes it might be the spark that helps people see long-term leasing is quite doable in Summit County from a variety of standpoints. Delahoz has lived in the county for 18 years now, running Dwell Summit Real Estate since 2010. The company has done well, she said, and now manages a portfolio of about two dozen long-term rentals, in addition to other real estate transactions. The Family and Intercultural Resource Center based in Silverthorne is one example of a local nonprofit committed to helping families navigate Summit’s tight rental market, she added. And long-term renting comes with benefits for the owners, she continued. Many long-term renters are quality tenants who will take great care of a property with a higher degree of accountability. Vacationers might leave wet towels on a floor or let a sink run over, but a quality tenant is there for the long haul and presents far fewer maintenance issues in Delahoz’s experience. At the same time, she also thinks many landlords in Summit County have gotten a bad rap and are too often cast as greedy when they’re really charging a fair market rate and the culprit is really the county’s high cost of living. Financially speaking, Delahoz noted that short-term rentals can generate more money during the winter months, but long-term leasing also leads to a more consistent income year round and doesn’t fluctuate in years when the snowfall’s not quite so strong, she said. The biggest drawback to long-term leasing is owners typically can’t use the home themselves, Delahoz said, adding that some of her owners actually rent out their Summit County homes long-term and then book different accommodations when they want to come up to the mountains because they have the cash flow from their long-term renters to cover it. When someone is considering renting out a home in Summit, Delahoz said she hopes they’ll consider the big picture and all the pluses and minuses of long-term vs. short-term renting. And she hopes that by drawing some attention to long-term leasing and offering three months’ rent, she’ll help promote this dialogue. “That’s the ultimate goal, to shift the conversation, not only for tenants and the frustration they have, but also to gain some awareness with property owners that long-term tenants are not bad — they are fantastic,” Delahoz said. Furthermore, she hopes to keep the Dwell Well Project going long after the promotion offering three months of free rent. For more about the project, to nominate someone or to learn how to support the effort, go to DwellWellProject.com.